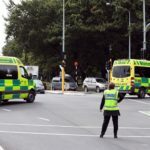 The Bangladesh New Zealand tour was cancelled after a shooting at a Christchurch mosque on Friday. 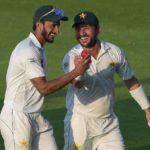 Yasir Shah became the second man to take 14 wickets in a Test for Pakistan as New Zealand were bowled out for 312 in the second innings of the second Test at Dubai. This gave Pakistan victory by an innings and 16 runs to level the three-match series 1-1. Pakistan leggie Yasir Shah almost single handedly dismissed New Zealand for 90 in their first innings on the third day of the second Test at Dubai, taking 8-41 and having a hand in a run-out. 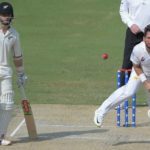 A sensational spell of bowling by Yasir Shah saw New Zealand bowled out for 90 in their first innings of the second Test at Dubai. 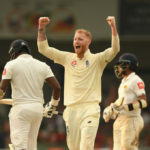 Sri Lanka ended the third day of the third Test in all sorts of trouble against England at Colombo, while Pakistan have built a big first innings score as they seek to level the series against New Zealand. 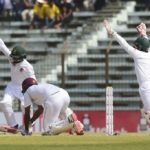 Bangladesh beat the West Indies at Chittagong, while honours are even in the Tests between Sri Lanka and England, and Pakistan and New Zealand. Against all the odds and the best of logic, New Zealand’s bowlers defended 176 on the fourth day of the first Test against Pakistan at Abu Dhabi to take a 1-0 series lead. 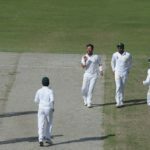 Pakistan is well-placed to push for victory in the first Test against New Zealand, while England beat Sri Lanka in Kandy by 57 runs to take an unassailable 2-0 series lead. England are on the verge of taking a 2-0 series win over Sri Lanka, while New Zealand still trail Pakistan with nine wickets in hand. 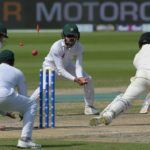 Pakistan turned the screws on New Zealand on the first day of the first Test in Abu Dhabi, bowling the visitors out for 153 before ending the day 94 runs behind with eight first-innings wickets in hand. Pakistan were well set to claim a 2-1 series win over New Zealand in Dubai before rain forced the players from the field, with the match abandoned and the series drawn 1-1. 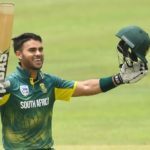 The year’s not yet done, but already Indian batters have struck 15 ODI centuries, with England hot on their heels on 13, while the Proteas have only cobbled together two, writes SIMON LEWIS. Trent Boult took a hat-trick at the top of the order to send Pakistan reeling after a solid batting performance from the New Zealand batters had laid the groundwork for a 47-run win in the first ODI at Abu Dhabi. 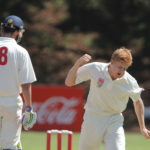 Two Northern Districts batsmen playing in a List A match in Hamilton, New Zealand, on Wednesday, smashed 43 runs off a single over to set a new List A record. 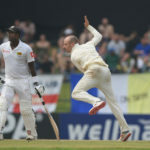 The luckless bowler? Pretoria-born Willem Ludick. New Zealand have confirmed the loss of Corey Anderson and Todd Astle as the latest victims of an injury crisis hitting the Kiwis in the UAE, reports ESPNcricinfo.com.